"I just wanted to take a quick moment to compose my thoughts about how effective Ulli is at getting the right things done right and done quickly while taking the time to ensure that all parties are on the same page... While the process of buying my home was not smooth, I cannot imagine going through it with anyone but Ulli... She did an amazing job of managing all the parties effectively, of developing backup plans to deal with incompetence, and had resources lined up to fall back on as my chosen parties failed... This woman is amazing. You want her on your side." "Choosing Ulli Rieckmann-Fechner as our Realtor was a great decision. Ulli made our home buying experience a pleasure. She was always punctual, prepared, and listened to our needs. She continually kept us up-to-date on homes coming on the market, and showed us homes that were in our price range and lifestyle needs... She was a great support every step of the way, from the first home we saw to the closing... We will highly recommend Ulli to anyone we know looking for a great Realtor." "Ulli Rieckmann-Fechner is a wonderful Realtor. She is very professional and hardworking and she pays attention to our needs and what we want from our first home. She even had the foresight to know exactly what was right for us before we realized it ourselves! She's very efficient and organized, yet we never feel rushed into getting things done. She has been a true advocate for us. We would definitely work with Ulli again and recommend her to friends and family." "I am writing to express my pleasure with Ulli Rieckmann-Fechner... This was my first experience purchasing a property and Ulli made it a pleasurable one... She truly had my best interest at heart. She is very personable and knowledgeable about the real estate market... I would highly recommend her to my friends and colleagues. I am nothing but pleased with her expertise." "Ulli helped us immensely during the house hunting process... she was less concerned about making a sale than she was about finding the house that was right for us... She was able to negotiate the sellers into fixing some damage discovered during the home inspection even though we had agreed to an as-is purchase. We also saved a good deal of money when she convinced the seller to agree to a price reduction after the home appraised for less than we had expected. We likely ended up paying significantly less for our home than we would have with another agent... She worked non-stop right up until we had the keys, to aid us in securing a house we were happy with and could envision living in for years to come. 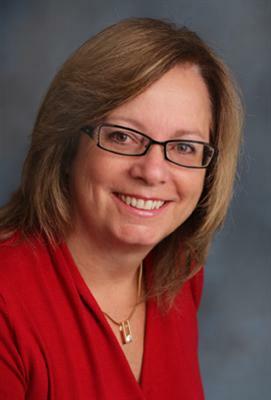 We were fortunate to find a real estate agent as friendly, helpful, and hard working as Ulli."